If you’re looking for a heater with great efficiency at heating larger spaces, a micathermic heater is likely the best choice for you. Taking advantage of both convection and reflective heat, micathermic heaters are known for their efficiency, using the powerful mica mineral to warm a room with electromagnetic rays. However, choosing the right micathermic heater can be challenging if you don’t know what to look for. Here is a guide on searching for the right heater, what to research, and why micathermic heaters have so many benefits. Micathermic heaters work differently to traditional heating devices. Most typically, radiant or convection heaters are most often used to warm households. Micathermic heaters use a different technology which incorporates a mineral called mica. Mica is a silicate mineral that is extremely shiny and structurally layered. Often found inside rocks like granite, mica is what gives these rocks their shimmering component. However, mica also works as an incredible heat and electrical conductor. In micathermic heaters, the heating element is made of mica. Electricity runs to the heating element, warming the mica, which then releases electromagnetic rays. Similarly to radiant heat, electromagnetic rays warm the objects in the room rather than the surrounding air. These objects will slowly and evenly heat the air, creating a better distribution of heat in the room that lasts longer. Micathermic heaters are far more efficient than other types of heating. With traditional forced air heating, the heater warms up the cool air and blows hot air around the room. A lot of this air is lost, and it cools very quickly when the heater is turned off. Radiant heaters work similarly to micathermic heaters, warming the surrounding objects. However, micathermic heaters do it using electromagnetic rays, which makes them far more efficient than traditional radiant heaters. They are more efficient as they work faster and need less electricity. In traditional radiant heating, the objects closest to the heater begin to warm first. When all the objects reach the desired temperature, with heat dissipating outward, the heater will turn off. With a micathermic heater, the electromagnetic waves heat all the surrounding objects at the same time. This warms the room faster, meaning the heater switches off quicker, using less electricity. On that note, micathermic heaters transfer 100% of their electrical input to heat, making them far more efficient than other types of heating. When heating a room, it is common for people to complain about the loud noises made by forced air heaters or radiant heaters that have a fan installed. Micathermic heaters are completely silent. As they do not contain moving parts, they do not cause any disturbance in the room. Micathermic heaters are often designed to look like radiators. However, unlike radiators that are often filled with water or oil, micathermic heaters are very lightweight. This makes them easily portable for zonal heating throughout the whole house. Micathermic heaters produce at least 20% of radiant heat. Unlike oil-filled radiant heaters that take a long time to heat up, the radiant heat from micathermic heaters can be felt almost instantly as the electromagnetic rays warm all objects at once. Moreover, forced air heaters tend to blow hot air around the room which can increase the spread of allergens and bacteria. Micathermic heaters heat objects and do not blow the ambient air around. Due to this, they don’t spread these particles. 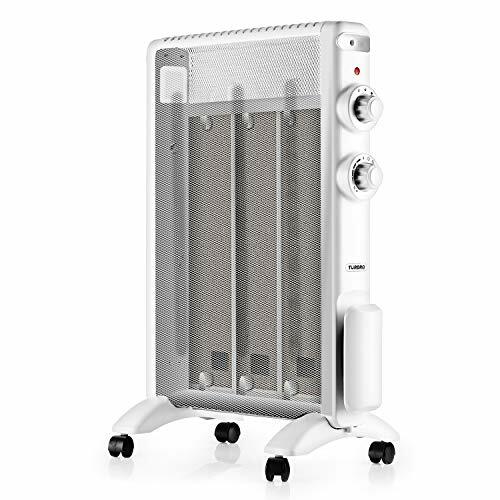 Equally, forced air heaters tend to dry out the air, which can be harmful to the respiratory system; micathermic heaters keep the air humidified. The first thing to consider is the size of the space you want to heat. In general, micathermic heaters are more suitable for large spaces, because they are very efficient, and can quickly get large spaces to the desired temperature. They might be excessive for smaller spaces. Opting for a model with a thermostat will enable you to increase efficiency. As micathermic heaters are able to consistently hold high temperature for a long time, having a thermostat will ensure the temperature is constant, and power is used as efficiently as it can be. Secondly, consider the design. Some tend to look like small radiators, whereas others mimic the look of a flat screen TV. 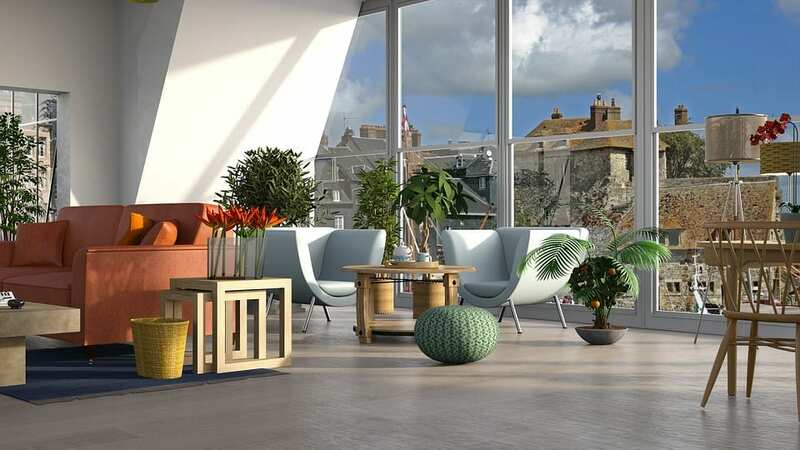 The choice here may be dependent on the aesthetics of the space you have, with wall-mounted styles taking up less room. That said, radiator styles are generally more portable. If you have small children and pets, the safety features are likely to play a huge part in your heating choices. Try to look for models that have automatic overheat function, which prevents the heater from getting too hot and catching on fire. Equally, the tip-over protection will turn the heater off if it falls over or something bumps into it. You may also want to ensure you have a model that has a cool-to-touch casing to prevent burns. Micathermic heaters tend to range in cost depending on the size of the room they are designed to heat. 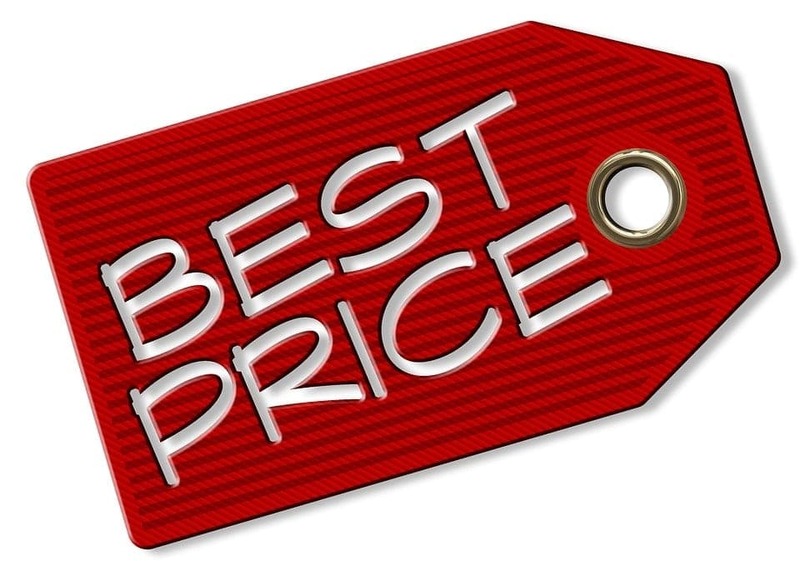 As they are already super efficient, you’ll want to look for the heater that serves the size of your room, so that you get the best price. Oil-filled radiators and micathermic heaters work in a very similar way. They heat the objects around them using radiant or reflective heat but also heat through rising heat by convection; which makes them radiant convection heaters. Both oil-filled and micathermic heaters work silently, although oil-filled radiators tend to make a little noise as they heat up. The lack of forced air being blown around also prevents both of these types of heaters from spreading allergens and germs. However, micathermic heaters tend to be far lighter than oil-filled radiators, which makes them far more portable. Oil-filled radiators also tend to be bulkier to accommodate for the oil inside, whereas micathermic heaters tend to be more slim-lined. Equally, the oil makes the heater very heavy, taking a long time to heat up fully. Mica elements are very small and take no time to start working, meaning you’ll feel the effects of the heater almost instantly. Micathermic heaters are a good option for large spaces, with efficient power usage and exceptional fast heat transfer. Here’s a quick guide to some of the best models out there. With tip-over shut-off and automatic overheat protection, this slim-lined model comes with casters for easy portability and a carry case for transporting. It can be wall-mounted, with all the fixtures included, and has an adjustable thermostat and two heat settings. It generates a great deal of warmth almost instantly. It is very easily portable, with easy-to-remove-wheels and a carry case. 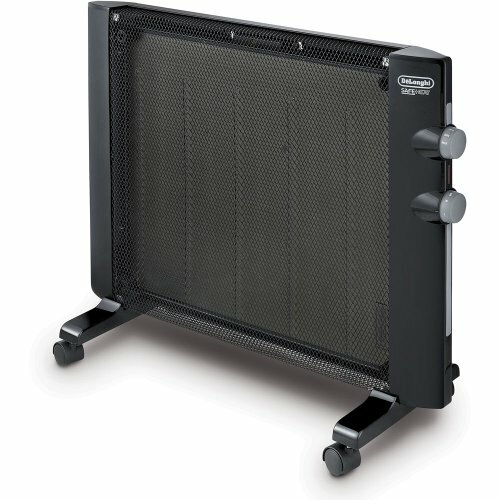 It can be used on the floor or wall-mounted, making it a versatile heater for different spaces. This model includes good safety features to protect it from being a fire hazard if knocked over or if overheating. It smells when first turned on as the heat cures the paint. The overheat sensor can be a little sensitive and will set off the alarm if you try to heat very small spaces with this heater. With excellent versatility and portability, this heater is great for using all over the house and outside, heating almost instantly. However, the overheat sensor will continue to go off if used in very small spaces. With two heat settings, this device can be mounted on the wall or sat on castors. It has a slim design and features tip-over and overheat protection. It doesn't spend a lot of electricity. The carry handle and wheels, combined with its light weight make it easy-to-transport around. It is completely silent, not even emitting the low buzzing noise that some micathermic heaters emit. It is cool-to-touch, increasing safety for small children and pets, and the tip-over function helps to protect against accidents. This heater is a little small and doesn’t really do so well in larger spaces. The thermostat does not tell you which temperature it is set at, it only turns it on and off when the constant temperature, for the ‘high’ or ‘low’ settings, is reached. 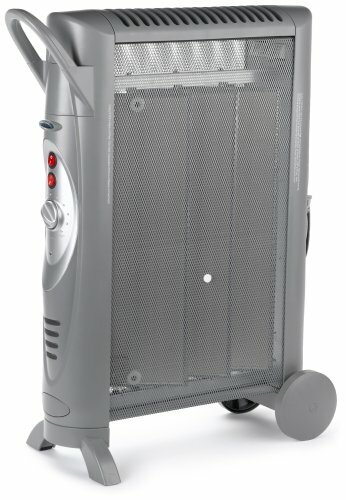 This heater is ideal for smaller spaces, and has good portability. The safety functions are great for small children and pets, while it runs quietly and efficiently. It has overheat and tip-over protection and a five-year warranty. This micathermic heater has a large carry handle and wheels, featuring two heat settings and an adjustable thermostat. This model runs almost silently. It works well, heating up larger spaces very quickly. 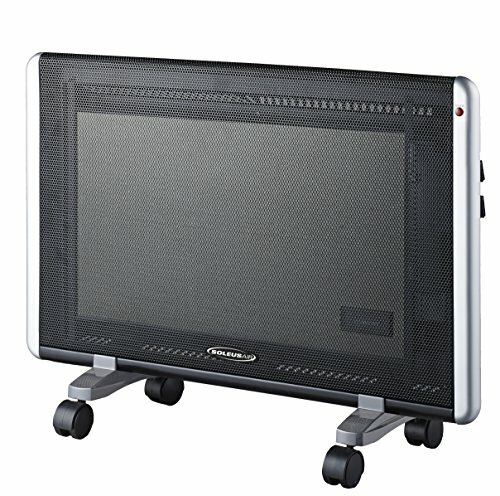 It is slim and lightweight, easy to transport, as well as unobtrusive in the room. The legs and wheels are easy to assemble and get the heater going immediately. The light stays on all the time which can be annoying at night time. The thermostat doesn’t indicate the temperature; it simply has dots to mark the increases in temperature. 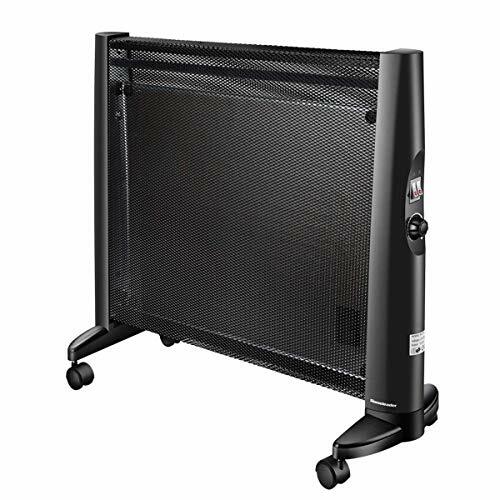 A great heater for large spaces, this model is easy to move around and comes with good safety features. The temperature settings aren’t that obvious and the light can be a little disruptive, although it operates silently and works quickly. This silent heater has 4 wheels and 2 handles and boasts ‘tool-free’ installation. It is certified for safety by RoHS and PROP65, while also having the overheat protection and tip-over shut-off. It has two heat settings and an adjustable thermostat and comes with a 1-year warranty. The cord winds up to allow it to be packed away easily and neatly. It is very lightweight and easy to move around while being unobtrusive in a room. This model has instant heat output in 30 seconds that delivers equally throughout the room. The tip-over control works at 45 degrees, meaning it is not over-sensitive to people walking past it, but will turn off if falling. The wheels are not the most durable and can snap if you are not careful. While it says it is tool-free installation, you actually have to put some pieces together. Lightweight and easy-to-operate, this model is great for small room heating. It is made of plastic and metal, and some care needs to be taken with the plastic parts, but it includes good safety features and a year’s warranty in case it breaks. With 4 wheels and handles, this easy-to-move heater has two heat settings and an adjustable thermostat. It is easy to assemble and relatively easy to operate. The pulley system and handles make it easy to move around. It can heat a medium room very quickly to both heat settings. It says this model is wall mountable, but it isn’t. The thermostat is a little overzealous and tends to turn the heater off before it reaches the right temperature. 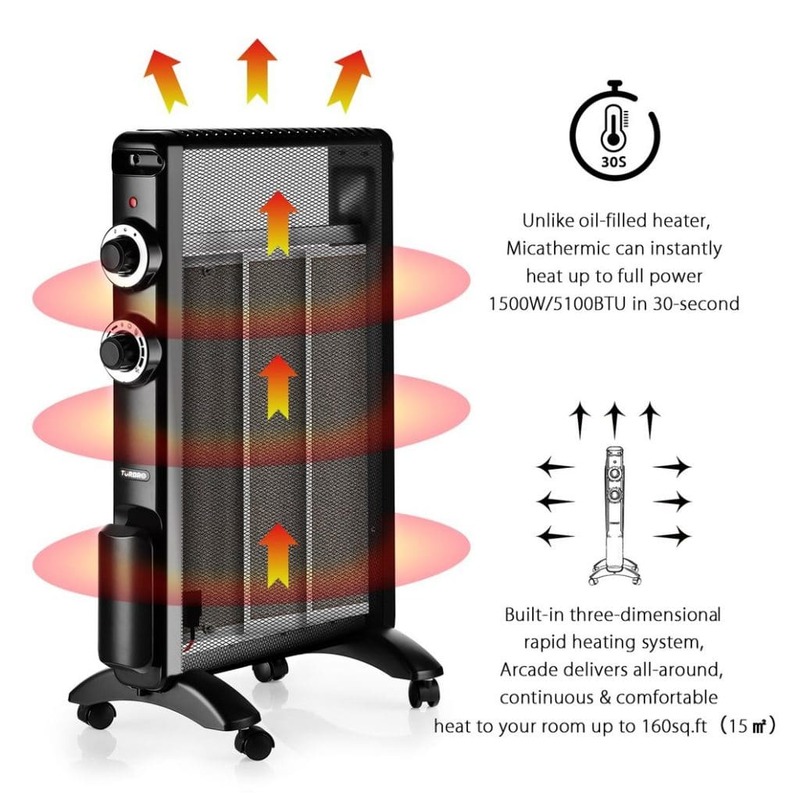 A simple design that is ideal for medium spaces, this heater can be easily moved from room to room on its four wheels, heating each room quickly. As technology improves, so does efficiency, and micathermic heaters are the epitome of efficiency. With a slimline design and the possibility of floor or wall mounting, micathermic heaters provide excellent heat output without taking up too much space. While they may seem a little more pricey up front, they will lower your electricity bills and provide all the coziness you need this winter.